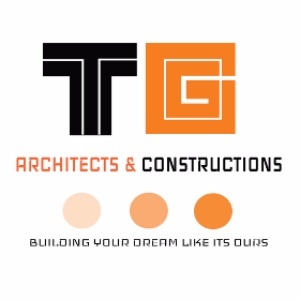 A progressive, variegated and multifaceted design firm, TG Architects owes its swift rise in the design industry to the sustained efforts being made since its origin, to understand the implicit necessities of clients and other constrains only to exceed client expectations. This has enabled our firm get past the persevering competition in the industry and stand apart with our own values. TG Architects is a Chennai based firm established in March, 2013 with Ar. Thinaguru, heading the Architectural department. Ar. Thinaguru is a graduate in Architecture and holds a Master's Degree in Construction Management affiliated by UK. The dynamic team is integrated with the minds of Architects, Engineers, Accountant and Marketing professionals. The practice has finished a number of projects from Architectural and Interior Design to Landscape Design. The team has specialized Architects, with international exposure in the field, involved in the design process. Design solutions offered are backed by research and analysis of various components that are integral part of the design. The prime objective of our company being, extending support to clients from initial planning to final implementation of the project, we assist you build your dream like it's ours.